Some years back I had to be dragged & kicking from a IT/ PC Windows background to a Photographer/Apple environment. I settled into the Apple Mac and even bought a few hundred shares of Apple at $10/share, so I watch what they're doing. Today, the June 2017 issue of Wired arrived with Dan Winter's cover shot of the new headquarters done with a Freefly Systems drone. Inside is a huge article by Steven Levy about the new building/campus. Wow. 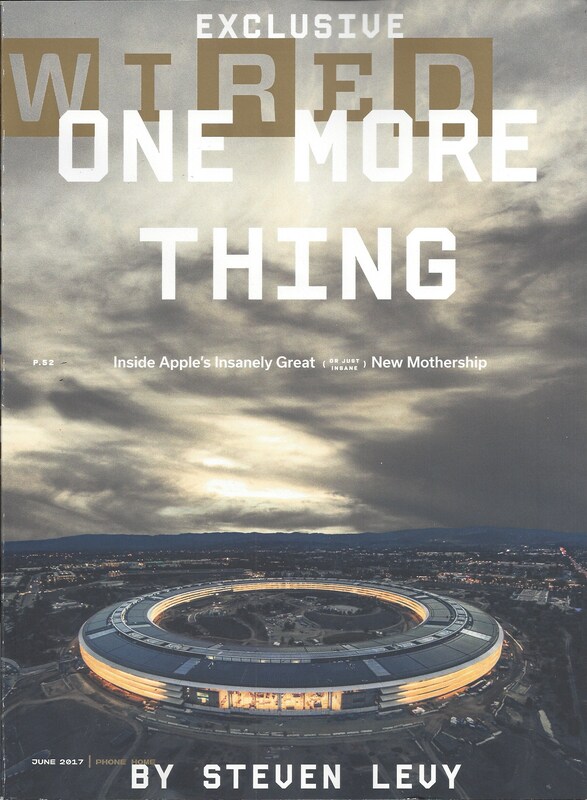 Like Steven Jobs used to say at Apple announcements, "One More Thing."